Credit cards have become the crux of our lives. We all have forgotten to carry cash completely. All we have in our wallets and purses are plastic money. This is a good way to spend money without the fear of money getting stolen. This does not mean that credit cards cannot be stolen. It is easy to steal a credit card but difficult to use it as there are layers of protection attached to it. We all know what a credit card is and the way it works. But let us look at the meaning in detail. Credit card is issued by a bank or financial institution so that the card holder can make a payment to the merchant for any kind of goods or service and promise to pay the same at the time given to them by the card issuer. There can be some additional charges upon the card swipe which needs to be borne by the card holder. The card issuer (Bank) offers a credit limit to the card holder for which he can shop until the limit exhausts. This billed amount is then presented for payment on a specific date. What happens if the card payment is not paid on time? The credit card bill is generated as per the bill cycle given to the card holder. A specific date is given to the card holder to make the payment and clear off the dues. This payment can be done by issuing a check in favor of the card account or an online transfer or even by paying cash into the card account. However, the latter would be charged something additional as the cash payments attract charges. If this payment is not done on time, then a penalty is charged to the card account and it is not a minimum amount. You should plan to make the payments on your card account on timely basis so that your credit history is not affected. In case if this gets affected, you would find it difficult to get a loan in the future. Credit cards work in a very simple manner. You need to present your card to the merchant who will swipe it on their bank’s card machine. The amount is mentioned which is presented for payment to the card holders bank. This procedure takes about a few seconds and once the approval is received from the card holder’s bank, the payment gets complete. Credit card can be applied using the offline mode by visiting the bank branch or by using the online method. All you need to do is go to the official website of the bank that you wish to apply for and then choose the right card that would suit your needs. Once you have all such things in place, you can apply for it by submitting the documents required for processing. The documents are scrutinized by the back-end team and approved. You need to submit your financials and income statements to know how much credit can be given to your credit card. Post all such details and scrutinizing, your card would be issued and delivered to your mentioned address. When you get your credit card, a pin would be issued to you which would help you to authenticate your transaction. It is also a layer of security so that your card cannot be misused. When you apply for a credit card online, you may also get an instant credit card approval This can be a great way to get your card issued without any hassle. There can be times, when your credit card is not issued due to multiple reasons of denial. You can also compare best credit card offers that are rolled out by the banks to lure customers to apply for it. Banks have an interest in every transaction that happens under their bank name. In sort, every transaction is an income for them and they cannot lose out on it. There is not much if a difference in debit cards and credit cards. The only difference is that the latter works on a credit whereas the former works on the balance available in the bank account. However, you may get many credit cards offers for your daily use and can be a great way to enjoy all the benefits. There are loads of credit cards available online and you should look for the best credit cards for your use. The reason for you to choose the card is to help you with the many available offers rolled out by the banks and financial institutions. These offers can help you to get some great discounts so that your shopping can save you some bucks. Such cards have affiliations with the petrol pumps and other vendors so that your shopping can fetch you some benefits. You can read out all the information available online and there are many third-party websites that have all sorts of cards to choose from. You should look for all that is available on the card so that you do not get a shock about the charges that are levied by the card issuers. These charges are issued by the banks on interim basis depending on your relationship with the bank. You should know that every action on your card would attract charges. For instance, if you do not make a payment on time, you would be charged late fees, if you do not pay your outstanding amount there would be an interest charged on your card. There are annual fees for the credit cards as well. These fees are applicable based on the type of card you hold. Therefore, you should look for a card that has no annual fees so that no extra expenses are lined up on your credit card. The most common cards available in the market are visa credit cards These cards are operated by third-party processors as we discussed in the article above. Visa cards are popular across the globe and are usually offered to any new user or most of the users. When you apply for credit card you cannot choose to receive a visa, mastercard, or amex card. It is upon the card issuers discretion to offer the kind of processor to the card holder. Fair credit means the users who do not have a great credit rating. This would mean that they are least eligible for a credit card. But banks have a personal interest in issuing cards to such users. However, the reason they choose to issue such cards to the users is because they charge extra interest and fees to such card holders. They ensure that the card holders make a payment of such fees and charges even before they pay the outstanding amount. It is an income for them and they do not wish to lose out on it. The banks have a risk attached to such cards and users, but they tighten their rope to ensure that the users do not escape with the credit given to them. Such cards have a minimum limit for the users and it is just to get the customer on board by issuing them a credit card. As and when they swipe the card an increase their shopping limits, they are offered extra credit on timely basis which they accept happily. This means that the customer is getting lured into the bank’s credit scheme and wish to make use of it completely. Banks offer the credit with a 40-50-day grace to make the payment. This gives the users a rolling period so that they can earn some extra income in the meantime. This is where the instant approval credit cards come into picture. They show that you are eligible for a credit card which you have been trying to get for a long time now. You happily click on the credit card apply now button and get into the league. Credit cards can also be issued to people who do not have a credit history or a bad one. This means that credit cards can be of use to such people who are not eligible for any credit from the market owing to their history. The benefit for banks is the same, they get to charge such customers with more charges and interest in case if they default. Since no other bank or financial institution offers them a credit card, they grab the first ever opportunity offered to them. Q. What is the difference between a debit and credit card? A. The debit card is your own money that is debited from your account while the credit card is bank’s money given on credit to the card user. Q. What is co-branded credit card? A. A co-branded credit card is a promoter or merchant linked card where you are given benefits of both the bank as well as the merchant offers. Q. What is the security of a credit card? A. A credit card is secured by an EMV chip and PIN system, where you need to enter the PIN upon swipe to authenticate you as the user. Once this is approved and authenticated by the card issuer, only then will the merchant be able to accept the payment and complete the transaction. Q. 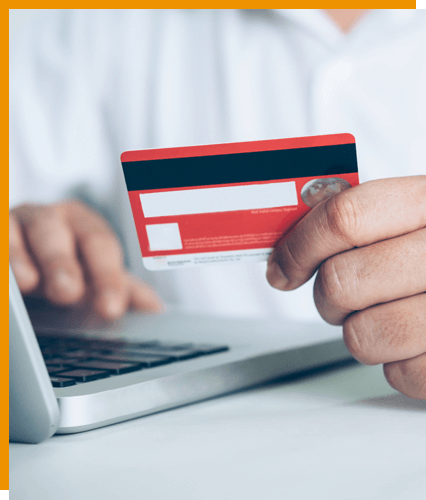 What is a CVV Number? A. A CVV is a Card Verification Value number mentioned on the back side of the credit card on the right side under the signature panel. This number is an authentication in online transactions and can help in transacting. You should never disclose this number to anyone at all as it can be used for misusing the card for illegal swipes. Q. Do I have an insurance on my credit card? A. Yes, you do have an insurance on your credit card. However, some banks ask you to activate it so that in case of any fraudulent transactions, you would not have to pay anything at all. Q. Can I order an add on card? A. Yes, you can order an add on card for your family members. However, this card would be a part of your current limit and any swipe done on either of the cards would be deducted from the same common limit and the payment cycles would also stay the same. You can take up to 3 add on cards for your family members on most of the banks. However, it is upon the sole discretion of the bank to issue you the add-on card or not. Q. How do I earn and redeem the reward points on my credit card? A. You earn a reward point when you swipe your credit card at any merchant outlet. When you accumulate the points, you can redeem it after a certain point for any gits or vouchers or even for card bill payments if your banks allow the same. It is your spent which is coming back in the form of rewards.